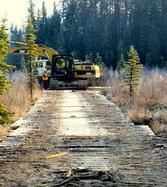 ​Chatter Creek Holdings Ltd. was founded as a British Columbia logging and road construction company in 1980. Over the years, Chatter Creek has grown from being an owner operator business with one D-8 dozer to a fully bonded company that has the capability to; and has successfully completed, several multi-million dollar contracts. 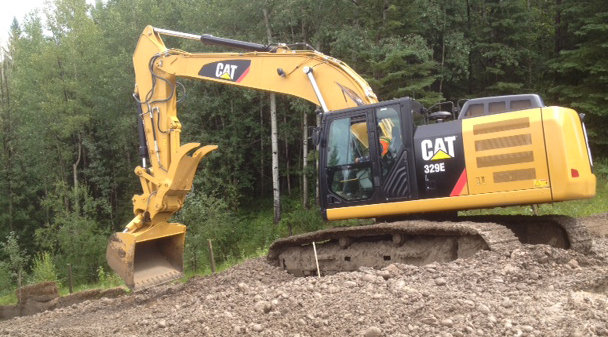 Current President/Owner, Brian Mackay has worked his entire career in the road building, logging, trucking industry. The last 18 years with Chatter Creek Holdings Ltd. first as an employee from 1997, a partner from 2007 and more recently, 100% Owner. He is committed to continuing with the same high standards as has been his success throughout the years. Chatter Creek Holdings Ltd. Currently holds a 5 yr. renewable Road Construction and Maintenance contract with Louisiana Pacific Canada Ltd. and has had a successful history with them since incorporation in 1980. We also hold a 3 yr renewable contract with BC Hydro as a preferred contractor. Chatter Creek is very proud to have held and very successfully completed BC Hydro contracts for the Columbia Valley Transmission project. We received several accolades from Hydro Management as work was completed on-time, on-budget, to specifications, with no safety or environmental concerns or issues. We have also held major contracts with Flatiron Constructors Canada Ltd. ( Kicking Horse Canyon Bridge Project)( Donald Bridge Project) (Stoney Trail Project, Calgary) Anthony Henday Project , Edmonton) , Minister of Forests, Lands, and Resources, and Ledcor Group ( Kicking Horse Canyon). The Owner of Chatter Creek is very proud of it's adaptability to adjust to economic, regulatory, and safety changes that have come about throughout the course of business. He believes strongly in being involved "hands-on" in each and every project. Whether logging in Vancouver or providing road construction in the Interior, safety in the workplace is an ongoing goal of the company. We are SAFE Certified by BC Forest Safety Council and are operating at a 26% discount off Industry average base rate with Worksafe BC. We have an extensive Safety Program that has been approved by all major companies we have held contracts with. Chatter Creek Holdings Ltd. values all their clients and employees alike. We take pride in our repeat customers and low turn-over of staff. Being a company that has grown within a small community, we have that "Small Town Pride". Every job we do is to us the most important job we've ever done. We look forward to the future and the changes, new clients, and challenges it will surely bring.